After listening to an enjoying the initial EP release Sparks, I am very excited to finally get round to listening to the full album release from With Heavy Hearts. There was plenty of good stuff to enjoy on that EP and if I remember correctly, my only issue was that it was too short. Well, the full album release of The Mirror’s Principle should sort that problem out so I am expecting big things. 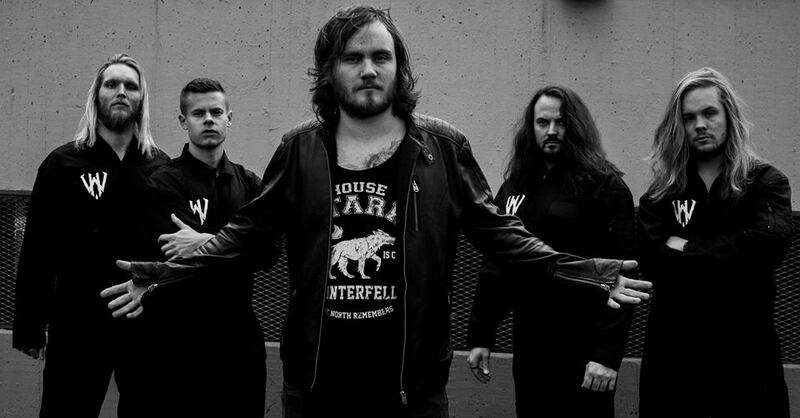 With Heavy Hearts hail from Orebro in Sweden and classify themselves as a melodic death metal band and there is no doubt they fall in to that category. You hear all the influences you would expect from a band within that genre on The Mirror’s Principle with bits of At The Gates, In Flames and Scar Symmetry all in the mix but they don’t sound like copies. There is a fresh and enthusiastic vibe to the band and their songs show they are influenced by their peers while not trying to simply imitate them. 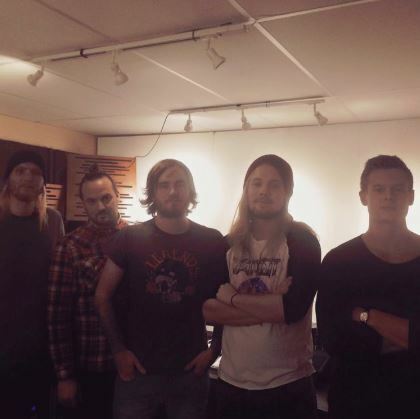 There are 5 guys in the band and they are Adam Svensson on vocals, Emil Gustavsson on guitar, Oscar Flaring on guitar and clean vocals, Magnus Kallstrom on the bass and finally, Pontus Lundstedt on drums. The only thing that I didn’t like was that it only had 4 tracks on it and I thought that was a couple too short for an EP. This full album, The Mirror’s Principle, comes complete with really cool artwork on the front of the album and gives us 9 tracks and about 33 minutes of metal to get stuck in to. A vast improvement on the 4 track EP length but probably still short for an album, especially when you realise that 2 of these 9 tracks were on the EP. It feels a bit more now like Sparks was a well-made demo and was just titled poorly (or misunderstood by me) though that is not really that important. What matters is how it sounds and it sounds really good. The first track, Blind Eye, is a strong start to The Mirror’s Principle and offers plenty to like. It has a small amount of electronic effects in the intro and the same appears in the gaps between verses and choruses but thankfully, for the most part, when the guitars and drums kick in, they are the lead. The verses are brutally heavy – straight up death metal and the chorus is a little slower and catchy mixing death metal shouts will a tiny amount of clean vocals. There is also a neat little solo thrown in for good measure. In fact, as you work through The Mirror’s Principle, this electronic intro seems to be their thing with 6 or 7 of the 9 tracks all having a similar pattern. It’s not an issue really, as I said, it is very rapidly drowned out by vicious vocals, brutal drums and thrashy guitars and when it is more prominent, it is used well and sits nicely into the songs without ever taking over them. In some instances, it actually works really well as an atmosphere builder too such as in the second track, Black Soul, which is also the longest track on the album. Black Soul is brilliant – really good. It is very heavy but not fast and is instead played at a steady rhythmic pace which will have you nodding your head and belting out the extremely catchy chorus. There is a whole lot of range on offer with this album with most, if not all, songs managing to offer something different to the previous. They are unmistakably the same band but there isn’t just one single song pattern used for 9 tracks. 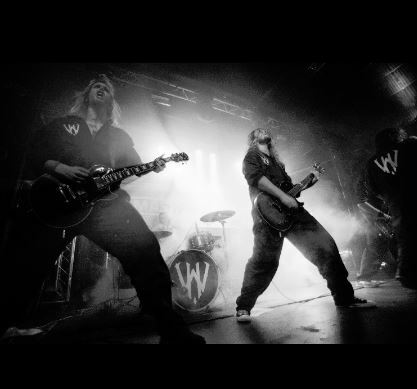 There are songs like Black Soul, Drifter and Blind Eye that make use of a small amount of clean vocals. There are songs like Everything Ends, Sparks, The Weak Shall Inherit the Earth and The Mirror’s Principle that are absolutely viciously heavy throughout. The final song Recreation of a Mind is a slower, but not less heavy, affair with the feel of an epic and we even have some excellent guitar solos in songs like Black Soul and Solar Deity, in particular, to mix things up as well. There are also many things that each song has in common though and that is that they all have very catchy riffs, excellent drumming in both the fast and the rhythmic sections and vocals that sound furious and that move through different ranges of shouts. With so much goodness on the album it is difficult to highlight anything too specific but a special mention needs to go out to Everything Ends which hits you like a punch in the face with its heaviness. It is fast, furious and brilliant. I would love to see this song live – you couldn’t stay out of the pit with this being played. Another special mention should go to Drifter which was also on the original EP. I loved it then and love it even more now. It is the other side of With Heavy Hearts focusing on the heavy but rhythmic beats and uses the winning formula of death metals shouts alongside clean vocals in the chorus making the chorus, to me, one of the catchiest I have heard in a while. These guys have a big future if they continue to work hard and put music like this out. The melodic death metal genre, to me, houses a plethora of brilliant metal and these guys are right up there at the top. A really, really solid album with loads of range and loads of nice little touches to make each song sound different. These differences mean your interest is held all the way through and there is no song that feels like filler. The Mirror’s Principle is only 9 tracks so any filler would have been noticeable but it isn’t there. If you want brutally heavy followed by heavy yet rhythmic with a sprinkling of vocal range, clean vocals, guitar solos, great riffs and expert drumming, look no further then With Heavy Hearts.